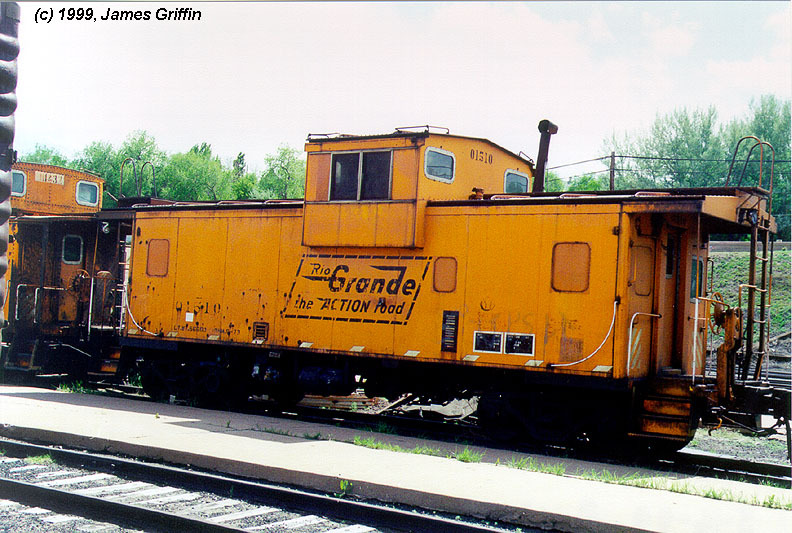 In the postwar period, Rio Grande rostered primarily two groups of cabooses. The first was a series of home-built steel cabs, designed to replace existing wooden cabooses, eventually totaling 91 cars. * These were built in batches of ten, between 1940 and 1959. (As these all-steel cars came into service, remaining wooden cars were rapidly retired.) The second group consisted of two orders of modern, wide-vision cabooses built by International Car (ICC) in 1966 and 1976. There were also four ex-D&SL steel cabooses retained for various uses, such as yard transfers and weed spraying. 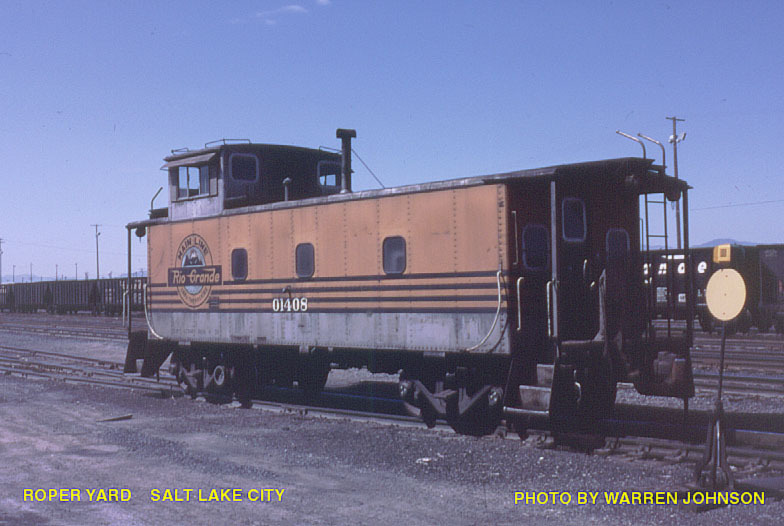 * 01490 was a special order built for the Utah Railway. 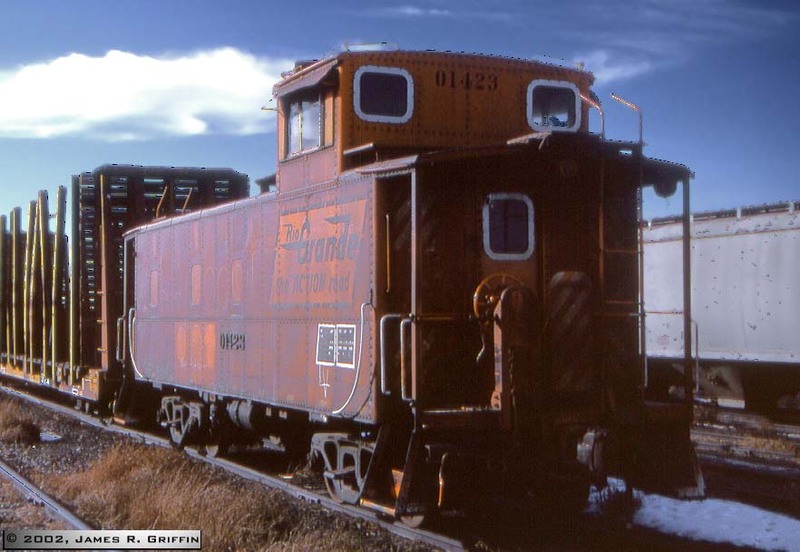 Below are photos of a few later Rio Grande cabooses (i.e. WW2 to present). Good data on these hacks is available at Don Strack’s Utah Rails D&RGW Caboose page . 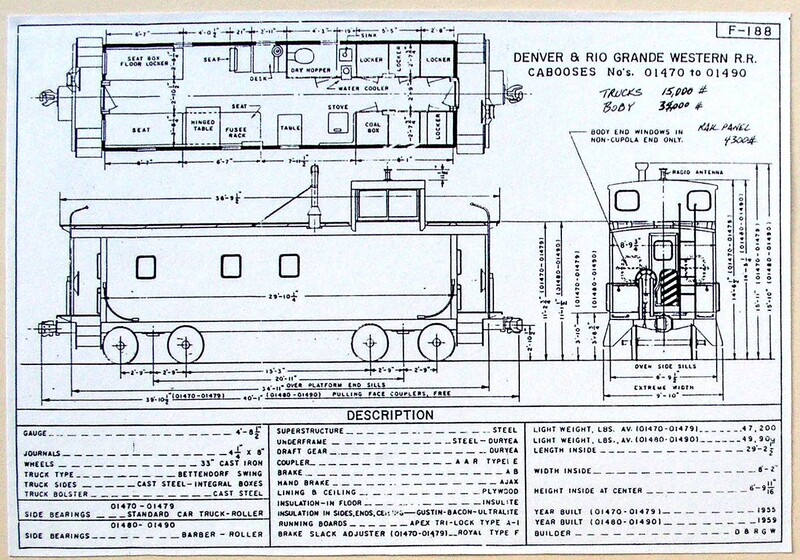 The Rio Grande 01400 series cabooses were unique. They were built in the railroad’s own shops and to its own design. 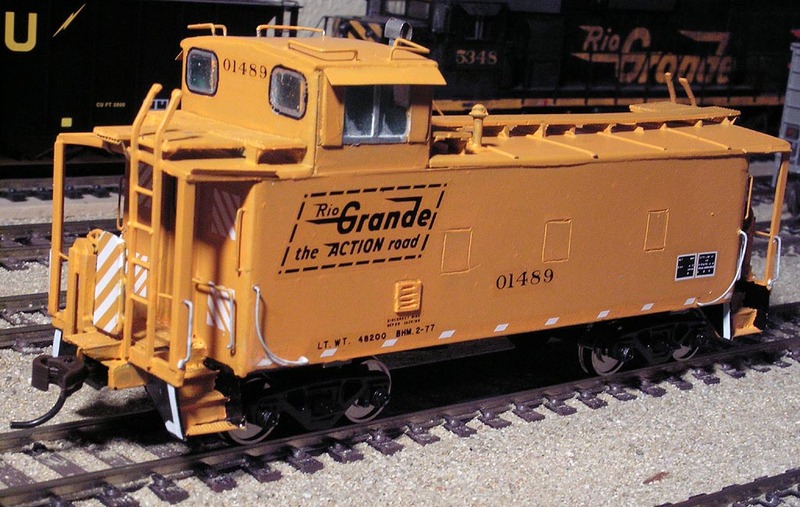 Distinctive Rio Grande features include: the posts at the corners; the ladder tops which end pointing up at an angle, rather than curving down to the rooftop (unlike many model cabooses); the extra-height cupola; the cupola side window style. Also note the two marker lights, added late in their careers. The one on the right corner was red and was used as the usual EOT marker. The one over the door was white and was used primarily to give the crew illumination out the back. This would be handy for night backup moves, for instance. It was seldom illuminated during daylight. Modeler’s notes: the only semi-accurate models of these cabooses in HO are in brass (OMI) or in resin (ProtoWest). The Athearn caboose is a Santa Fe prototype and is the correct length, though the windows are completely different from the D&RGW cabooses, the roof has far too much arch, the roofwalks curve with the roof instead of being flat, the trucks are too close together, and the cupola is too short. In other words, it’s a stand-in only. Your other option is to scratch-build, which I have done. Caboose No. 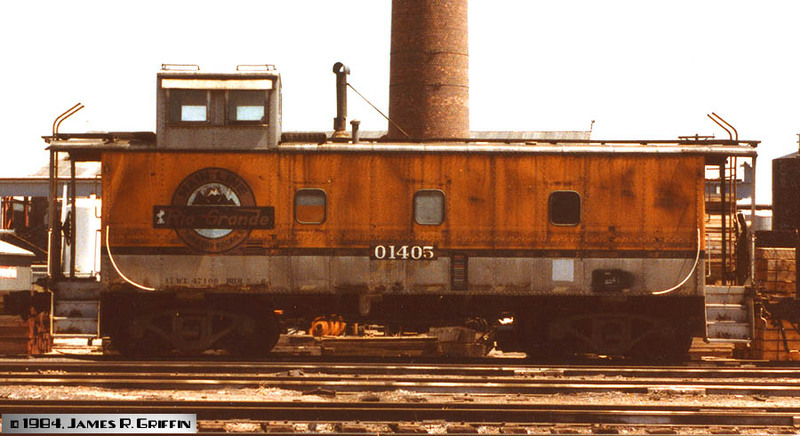 01405 rests outside the Burnham shops in Denver, May 1984. 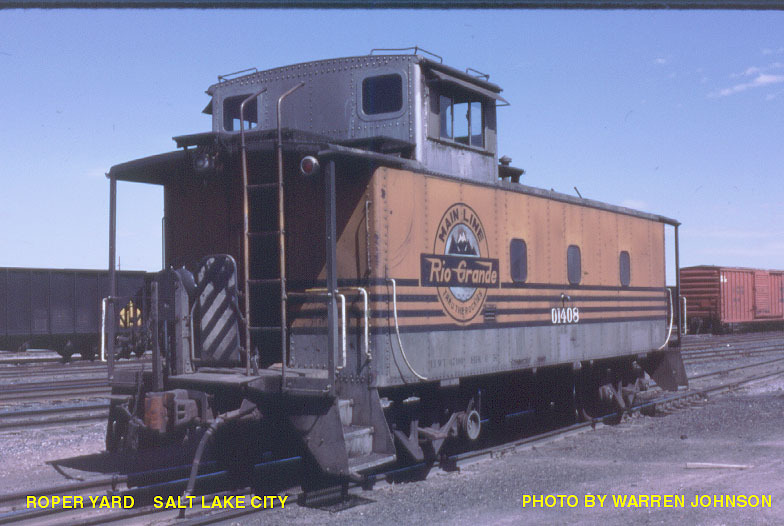 It was built in 1940 in the first group of steel hacks, and originally was painted in the solid black scheme with white lettering (flying Rio Grande herald). It is of riveted construction, as were all cabooses up through 01469. Note that the side windows have not been plated over, a rare feature at this late date. Here are three views of caboose No. 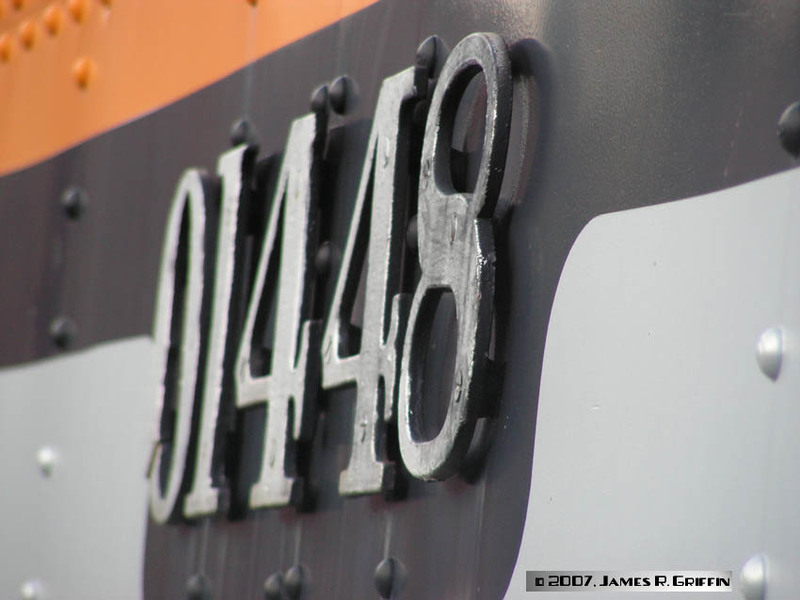 01408, in four-stripe paint, seen at Roper Yard (Salt Lake City). The time is July 1983. The windows have been changed to sealed panes, and have not been plated over yet. 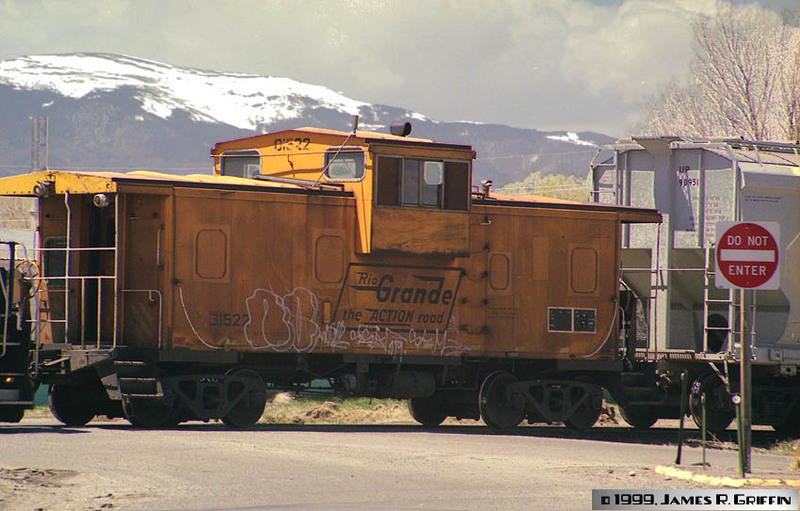 TOP: Here it sits by itself in Alamosa (downtown) on 5/16/1999. 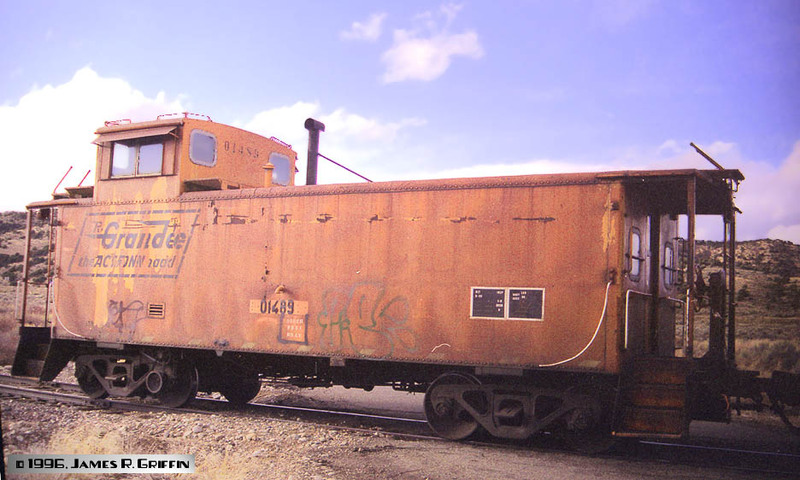 This cabin was used on the local to Antonito, and was one of the last Rio Grande cabooses in active service. 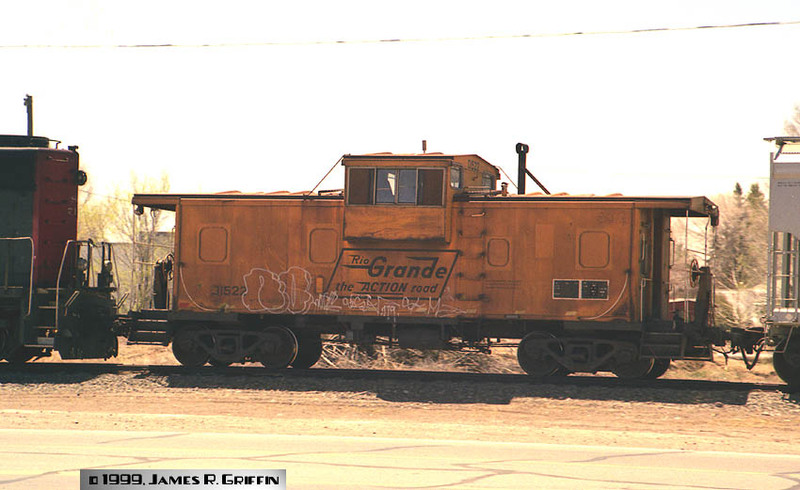 As with most cabooses active on the Rio Grande in the early 1980s, the body side windows were plated over with steel (only the end door windows were left).NEXT: Several other looks at 01423, taken in March 2002 at Alamosa’s east yard.UP kept the caboose in Alamosa for the local service right up until the sale of the branch to San Luis Rio Grande in June 2003. 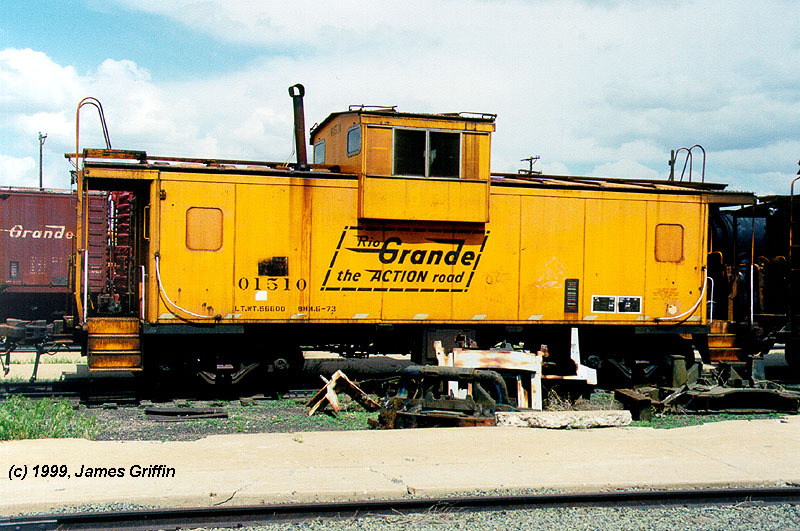 The caboose was sold along with the rest of the branch, and was used by the SLRG until the sale to Permian. Sometime after these photos, the car was tagged by local nocturnal street “artists”. 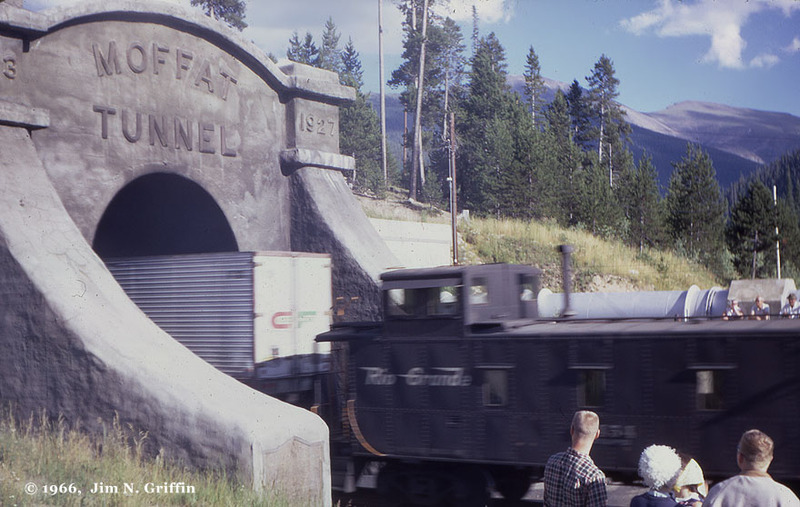 Ownership was transferred circa 2004 to the “Wagon Wheel Gap” tourist line between South Fork and Creede. However, the line never used most of their rolling stock for anything, and so the caboose was stored on a spur in Monte Vista just north of the highways 160 – 285 intersection until being sold to a private owner circa 2015. It now resides in Albuquerque.The 01423 was built in 1942. Here is a page of walk-around photos of 01423, many of which are close-up detail views. These photos were taken in Monte Vista on 12/27/2009. Caboose 01448, on display at the museum in Hot Sulphur Springs. 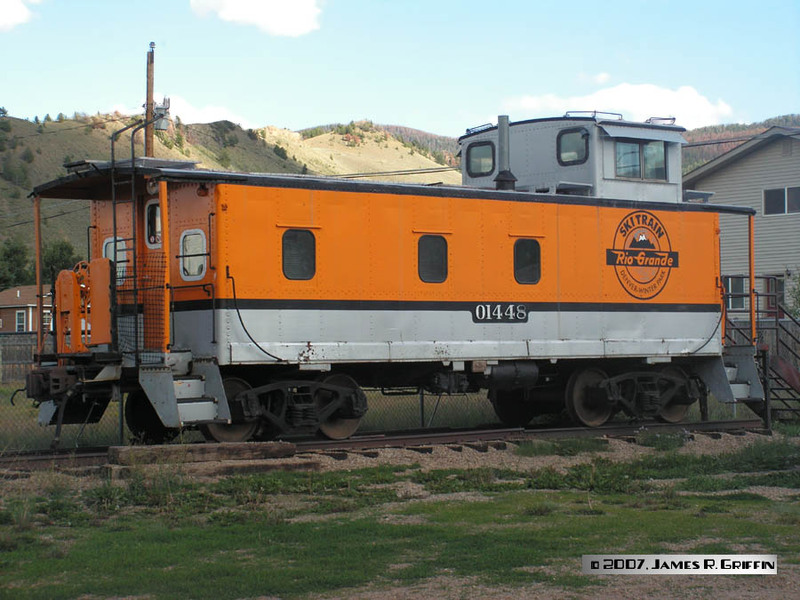 This caboose had previously been on display at the Winter Park ski area, as an exhibit for the Ski Train ahd skiing in general, hence the bogus herald. It was given to the Hot Sulphur Springs museum in 1999, but it still has most of the skiing exhibits inside. The interior had been gutted for the exhibits, so there’s no authentic railroad interior left (including the cupola). We toured it while still at Winter Park; I have video of that experience, as well as stills from this visit at HSS. 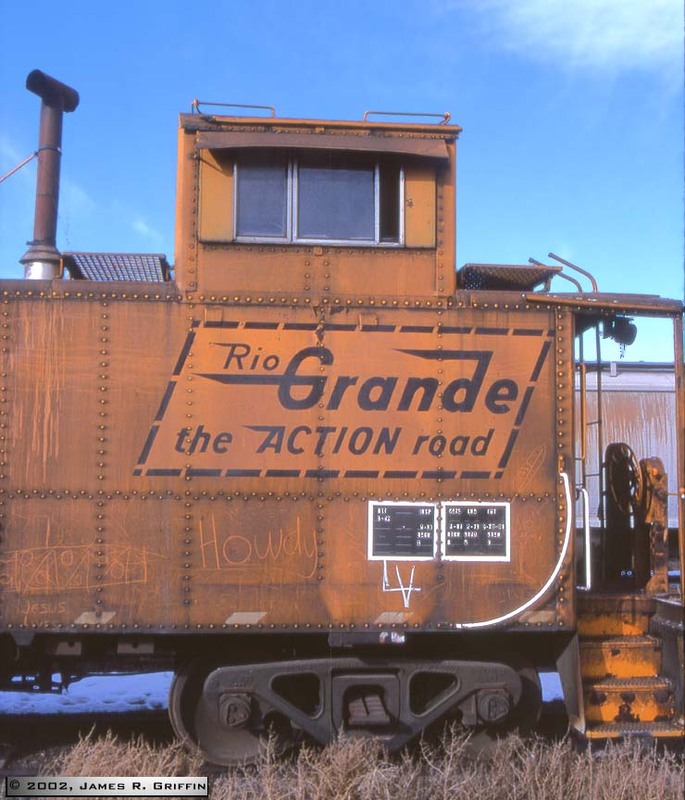 (bottom) The famous raised numerals of Rio Grande steel cabooses, visible in this oblique photo of No. 01448. The steel numerals are mounted on spacers to hold them beyond the car body. 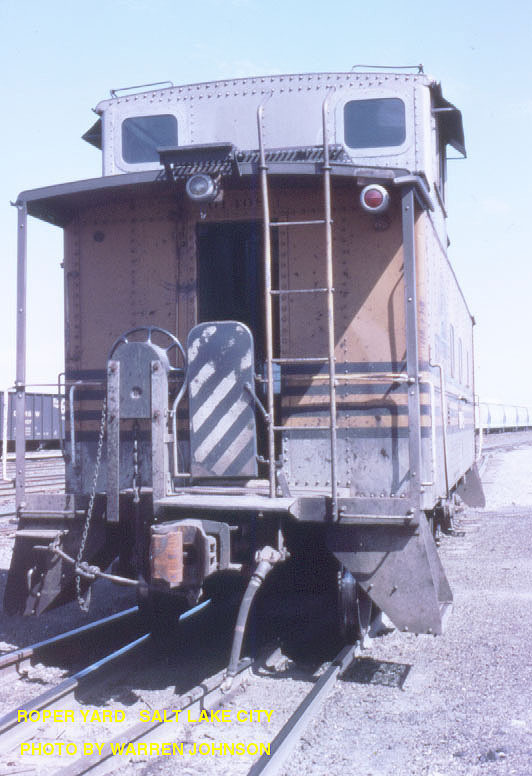 Photo from early summer 1966 of a riveted caboose, probably No. 01454. Note that this caboose and No. 01479 below do not have the number painted on the cupola on the side facing the middle of the car. This seems to be a feature of the black scheme. 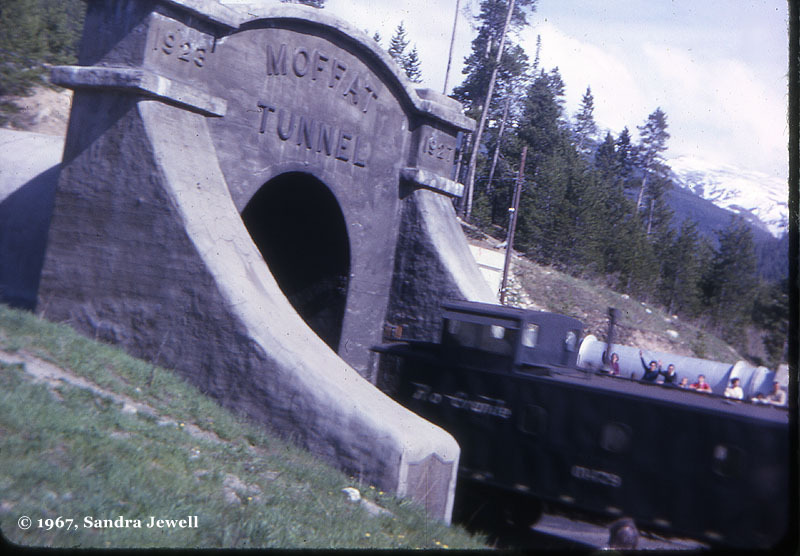 Probably May or June 1968: caboose 01455 trails a westbound freight into the Moffat Tunnel. It’s in the original all-black paint scheme. Items of interest: yellow handrails and ladders; “firecracker” radio antenna on the cupola; windows replaced with single-pane glass but still with wooden sashes; raised numerals on the carbody side (the oblique angle helps to see this feature). Caboose built in 1947. Photo by someone in my family using my dad’s camera. 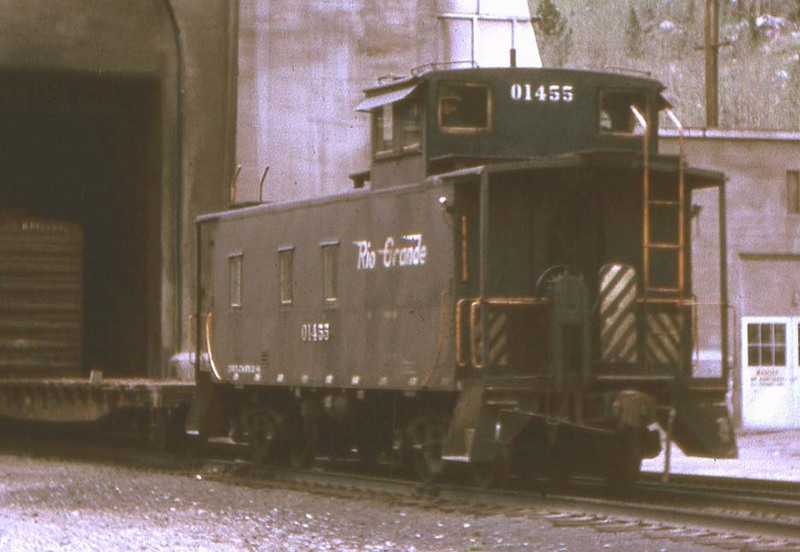 Caboose 01479 (probably): a welded-construction caboose seen at West Portal in 1967. Not a great photo, but my sister the photographer was only about 15 at the time, so we’ll cut her some slack! 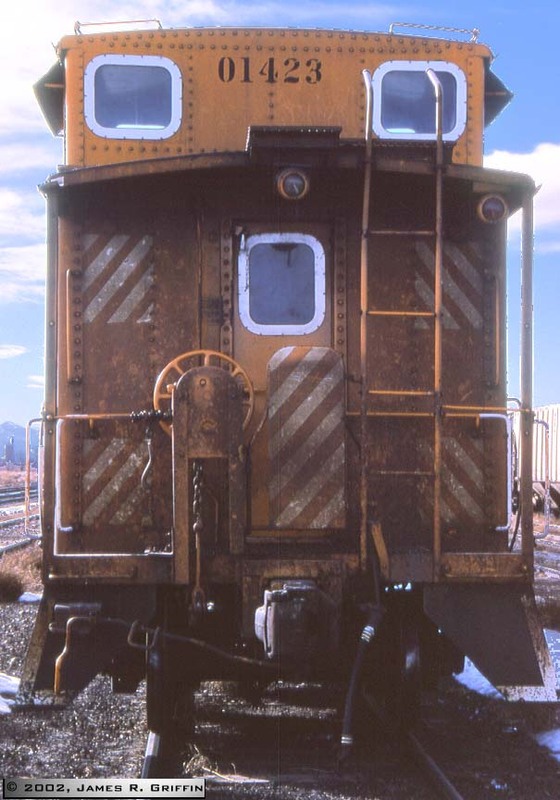 Note how smooth the cupola face seems, as compared to riveted-construction cabooses. Caboose No. 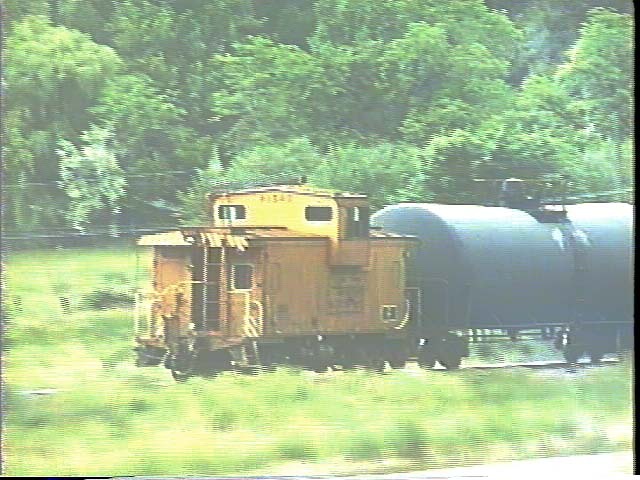 01489— Feb, 1996, near Ft. Garland, CO, headed east. This hack was built in 1959, part of the last group built by the railroad and the last non-extended-vision cabooses acquired. It is of welded construction. Note that the windows have been plated over (circa 1984). Also note that a previous paint job is showing through the peeling paint. 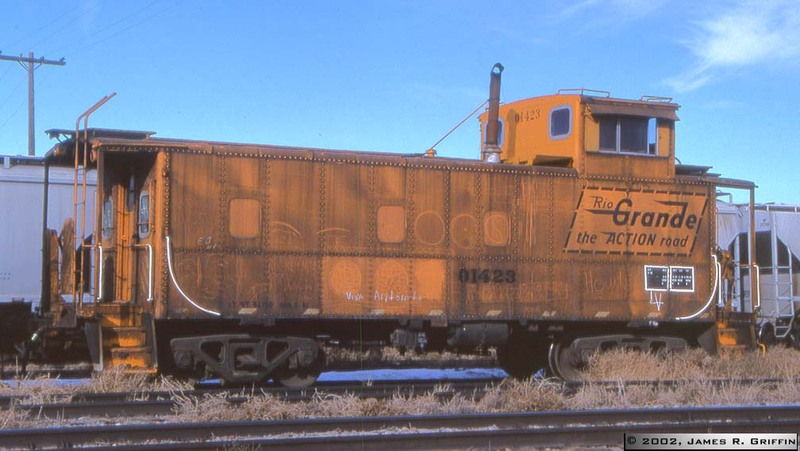 This caboose originally wore the same scheme as No. 01405 above. Note the axle generator on the rear truck, inboard axle. Two views of a very unusual movement indeed! 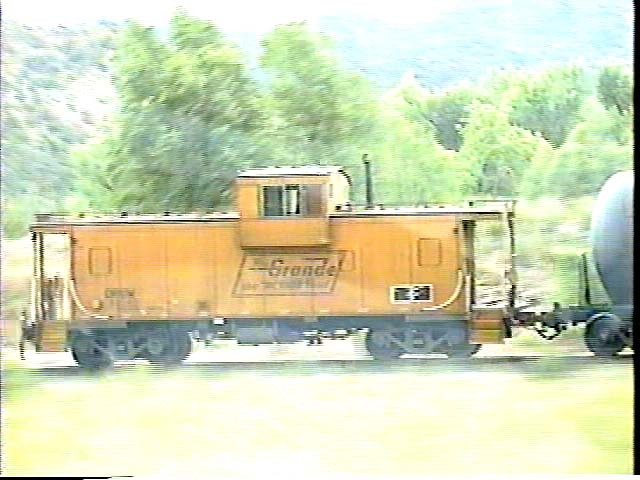 On July 1st, 1995, a long eastbound manifest freight passing through the Glenwood Springs area was punctuated by Rio Grande wide-vision caboose No. 01505. I have no idea why a caboose was on a mainline freight at this date, unless it was simply being transported for storage or something. These two shots are captured from camcorder video, and were taken near Chacra from a moving car on I-70. Caboose No. 01510 sitting behind the Pueblo depot (out of service) , 5/16/99. 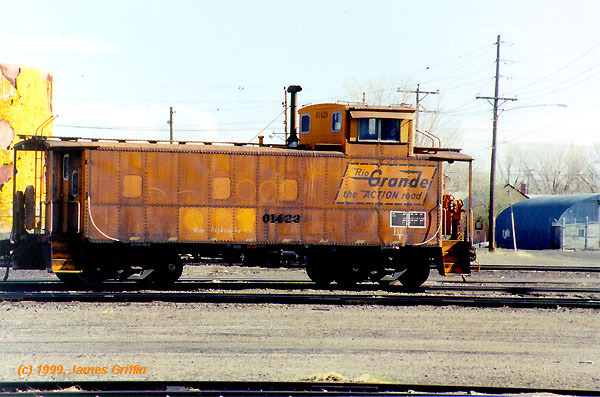 Rio Grande had fifteen cabooses (01500-01514) of this type, built in 1966. The cupola is slightly offset toward one end. Caboose No. 01510 opposite side, at Pueblo, 5/16/99. Caboose No. 01516— Also at Pueblo (out of service) , 5/16/99. Notice that the steps are missing. 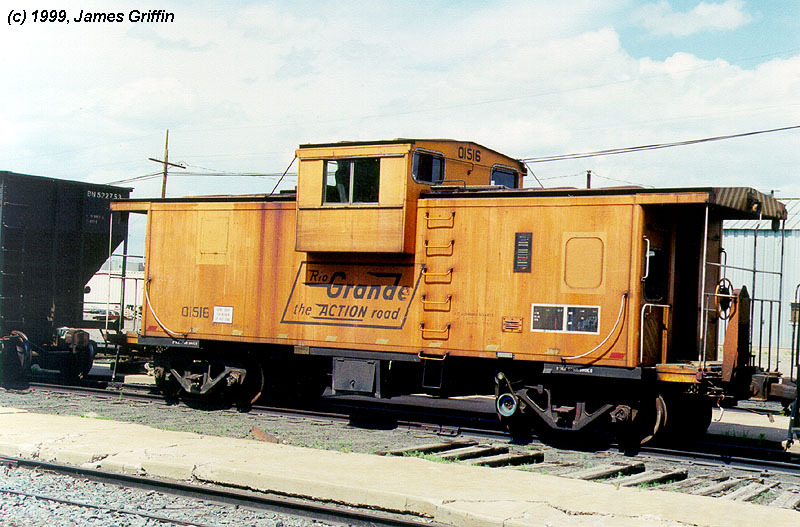 Rio Grande had ten of these (01515-01524, built 1976). These are similar to the first series, except for the centered cupola, the abbreviated roofwalks, the side ladders, and the different layout of the porch railings / ladders. They were delivered in the solid Aspen Gold paint scheme. Caboose No. 01522 works the local at Monte Vista, 5/14/99. Caboose #01522 another view, at Monte Vista, 5/14/99.